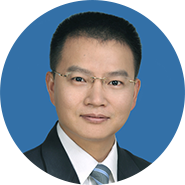 Zhouhao graduated from Wuhan University in 1993 and majoring in International Finance. He received his bachelor's degree in Economics from Wuhan University. After graduation, he worked in foreign exchange trading center - Wuhan branch of The People's Bank of China for 8 years. At the end of 2000, he worked as a financial manager of Marketing department in HUAWEI technology limited. In 2001, he has been appointed as deputy general manager of Shenzhen eti Intelligent Technology Co., Ltd. From 2004 to 2011, he served as director and deputy general manager of Gamma Star Medical Group. Since 2011, he has joined Prudence Investment Management (Hong Kong) Limited as a partner and served as the general manager of Shenzhen Qianhai Prudence Equity Investment Management Limited. At the same time, he served as a member of the Board of Directors of Wuhan University Talents Import Fund and a vice-president of the Yangtze River Delta Branch of Wuhan University Entrepreneurship Association.